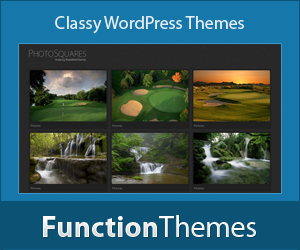 FunctionThemes will pay you cool 40% of every sale you refer! We offer high quality themes that can turn free ad space on your website into gold mine. Sign up to our affiliate program trough E-junkie and get your affiliate link to promote our themes. Below you can find our banners to add to your website. Still have some questions? Use contact form to ask any questions related to affiliate program.